The construction industry is going green. The construction industry has recently undergone changes to ensure that they meet the ever-growing consumer demands of eco-friendly housing designs and energy efficient constructions. There are numerous ways in which the construction industry is creating more environmentally friendly homes and with the advances in modern building techniques, the options for affordable eco-friendly homes are increasing rapidly. 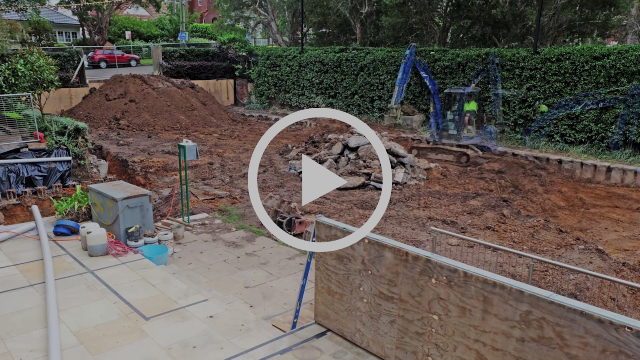 Over the past few months , DIG IT has been working at McHatton Street, Waverton, carrying out the demolition, piling, shotcreting & excavating to create a new garage, gym and tennis court for an existing house. This project saw us remove 3600 tonnes clay and shale from the excavation, plus general build waste and rubble from the demolition works. 1) When did you join the Dig It Civil team? I started working at DIG IT Civil in October 2013. Wow! I Cannot believe it’s been almost 4 years! Time flies when you are having fun! 2) What is your role at Dig It Civil? 3) What do you enjoy about working at Dig It Civil? I love being a part of a team of people who love what they do and who are happy to help each other, in achieving success for the business! 4) What was the best thing that happened to you this year at work? Well, moving to the new office in Mascot was definitely a highlight and we’re very happy in our new space near the yard! 5) Before working at Dig it Civil, what was the most unusual or interesting job you’ve ever had? I dressed up as Santa Claus and then a New Year’s Clown and went around town for two weeks collecting money for a centre for underprivileged children in Cape Town, South Africa. Running, yoga, photography, shopping, trying out new restaurants with my husband and tasting delicious food, going to the beach, swimming in the ocean and going to see my favourite musicians in concert.. In celebration of our 10 year anniversary we are highlighting one of our longest running machines the 6 Tonne Tipper Truck that has been with Dig It Civil since we began in 1997.
has been the backbone of the company for many years. It was purchased by Scott Remond when he started the business and had a makeover in 2013 to match the blue colour of our Dig It brand with the rest of the Dig It machinery. This July, an average of 11,181 Australians will be diagnosed with cancer. Dig It Civil are dedicated to reducing these numbers, and will sponsor, participate and support Dry July to raise funds for people affected by cancer. Dry July has been in operation for over 6 years, with over 65,000 participants raising over $15 million dollars across Australia and New Zealand. If you’d like to support Dig It Civil in raising funds for this year’s Dry July visit our page www.dryjuly.com/teams/dig-it-civil.DIG IT Civil is committed to supporting local charities, we are a socially responsible business dedicated to giving back to the community.